Enid Coleslaw is a cynical teen living in the limbo world between finishing high school and starting a new life. With her friend Becky Dopplemeyer she critiques the long string weirdos who enter and leave their lives. As a collection of short vignettes from Enids, which start and end suddenly, the comic is more about invoking a mood than telling a story, but there is a story there under it all, hidden in the depths. 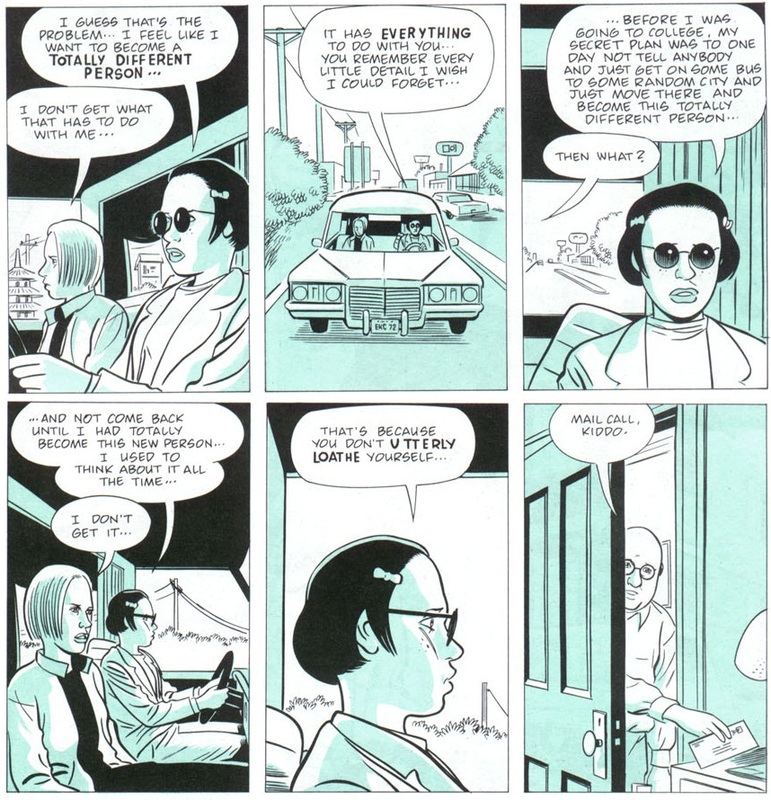 The clean simple art is both beautiful and ugly matching the way that Enid views the world. 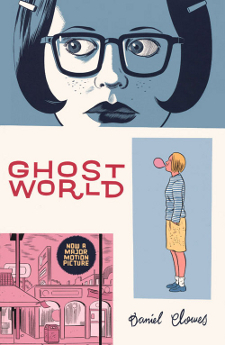 Overall Ghost World is an enjoyable read that probably worked better in the serialised form but is still worth reading. It was turned into a film in 2001. This blog is meant to iron out issues and help understanding of comic book terms and ideas. However, it also uses many terms and ideas new readers may be unfamiliar with. For clarifications or corrects, comment below.